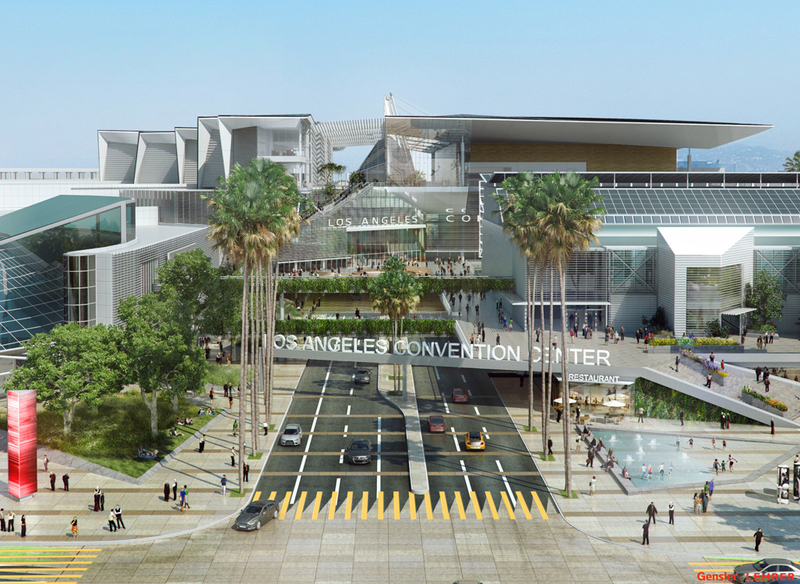 The Los Angeles Convention Center is desperately in need of an overhaul. 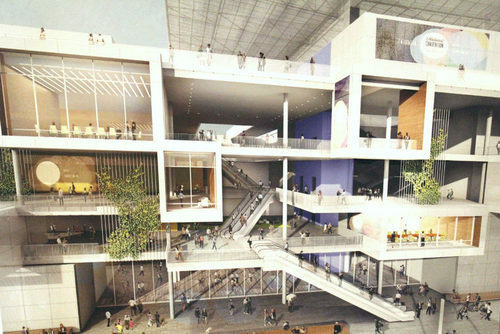 Architect Charles Luckman designed the original boxy structure in 1971 and James Ingo Freed added the glassy Annex in 1997. 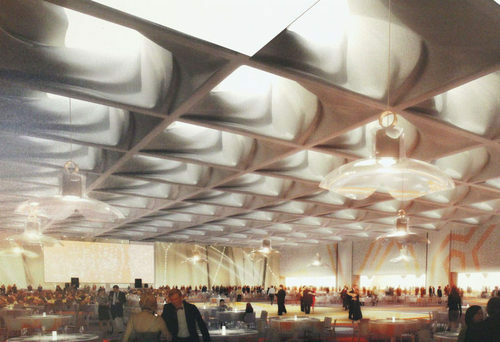 Today, both buildings lack the square footage and amenities to add up to a competitive venue. 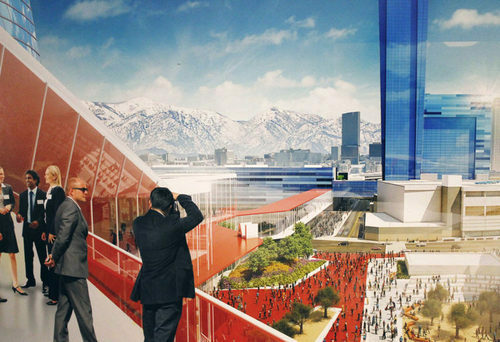 Centers in Las Vegas or Chicago eclipse LA’s meager 870,000 square feet by double or triple square footage. 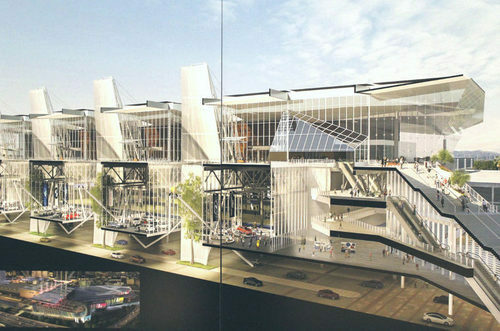 Indeed, in the decades since the venue was constructed the whole approach to convention center design has changed. 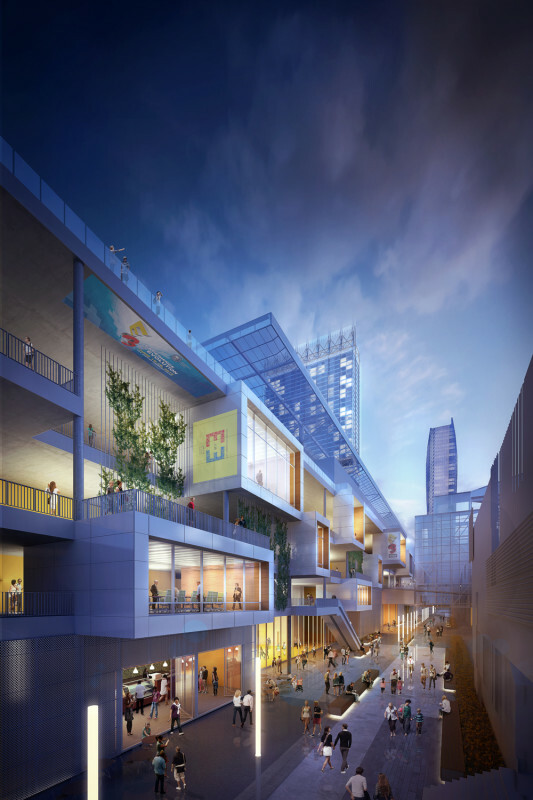 Photo: Eddie Kim via Downtown News. 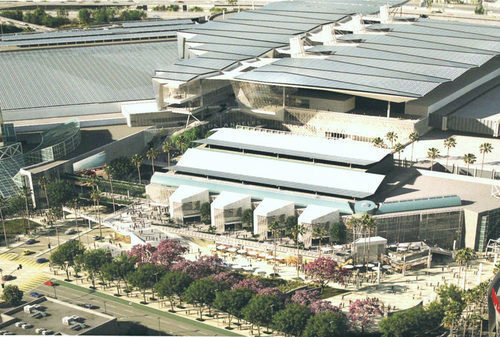 Aerial View of existing Los Angeles Convention Center. 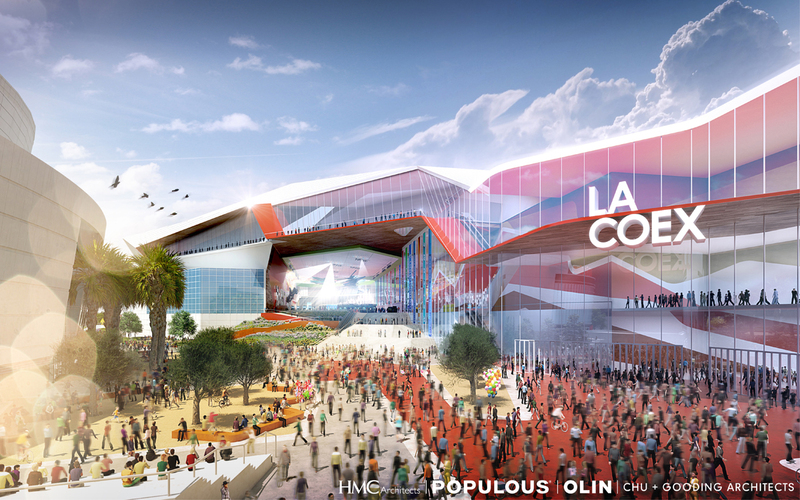 The City of Los Angeles announced the three final teams in a design competition for a proposed renovation and expansion of the Los Angeles Convention Center: AC Martin and LMN Architects, Gensler and Lehrer Architects, and HMC Architects and Populous. The schemes, on public view at the convention center through June 4, reflect the need for not only a bigger, more contemporary venue, but for a full-service destination, not unlike nearby LA Live. 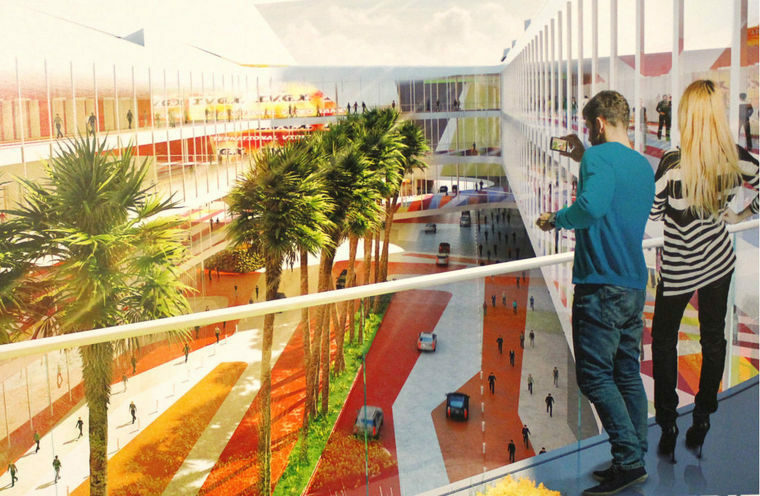 As the South Park neighborhood continues to boom, renderings show connections between the older buildings across Pico Boulevard, and include landscaped outdoor spaces, bold supergraphics, and open-air entertainment areas equipped for concerts. 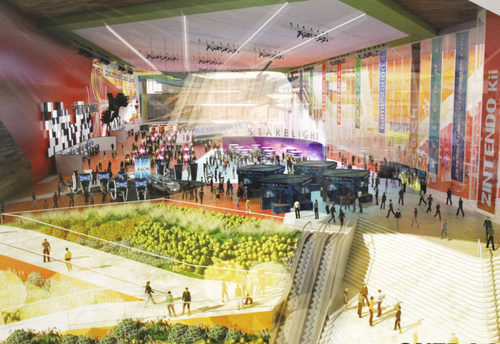 Each design comes in under a budget of $350 million or less. A comparison to LA Live is no accident. 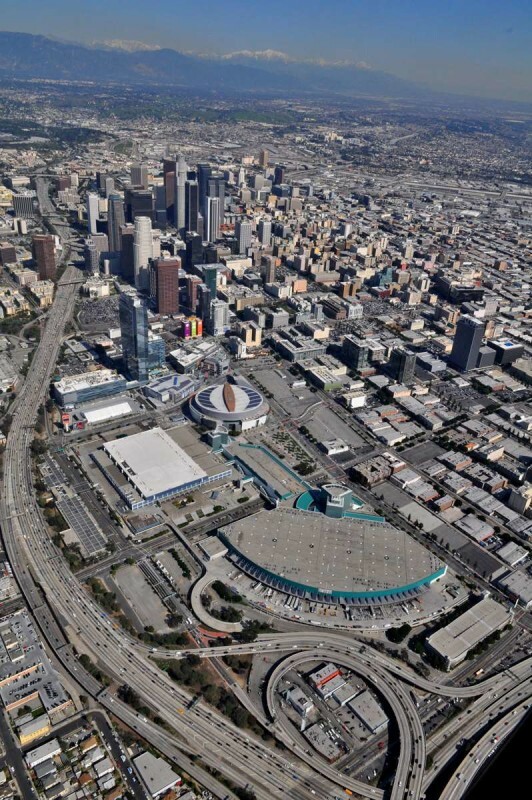 AEG, developers of that venue as well as the Staples Center and the Ritz-Carlton/J.W. 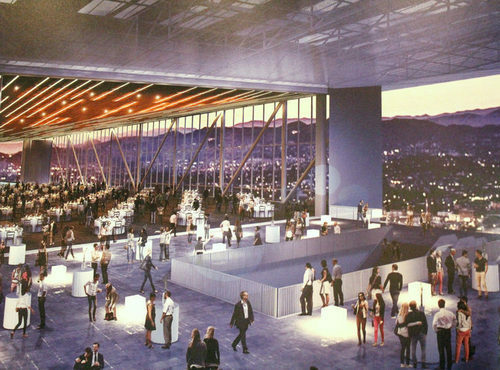 Marriott, were contracted to revamp the dumpy Convention Center as part of the defunct Farmers Field NFL stadium plan. The design competition was launched in late 2014 before AEG announced that it would no longer pursue the stadium project. 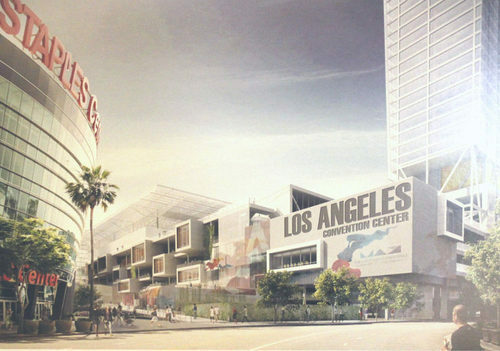 As part of the larger “Expansion and Futurization Project” for the Los Angeles Convention Center, the City of Los Angeles’ (led by the L.A. Department of Convention and Tourism Development and the Bureau of Engineering) competition is somewhat of a back-up plan to ensure that LA remains a draw. 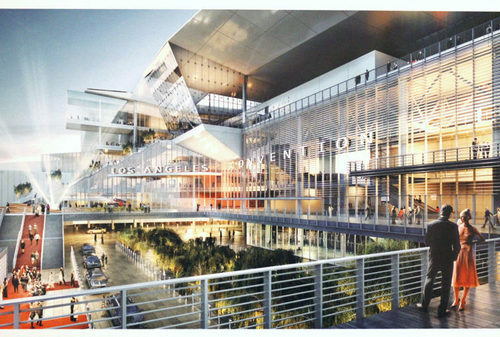 AC Martin Inc. and LMN Architects.